Alkibar: God of Peculiar Objects Found In Bargain Bins, Rummage Sales, and Attics. Bright Flower: A minor functionary of the Convention on Essence-Wielders. Gorim Naku: God of Public Transportation. Gri Fel: One-time god of the Imperial City, now would-be City Manager of Arcosanti. Ixiah: God of Thaumaturgy and Youngsters Playing Ninja. Kanari: Director of Saturn’s Mercy Hospital. Lytek: The Right Hand of Power, God of Exaltation. Moonsbane: God of the Wyld Hunt (now restricted to Chimaera). Rahamvar-Geta: A high-ranking secretary in the Department of Abstract Matters. Terapishim. Once god of the Narakesh Mountains, now would-be Park Manager of Arcosanti. Three Toes: God of Hipparions, and now once more employed. Zarchian: God of Old-Fashioned Candymakers. Chantico: Dragon-Goddess of Fire, Cookery, Possessiveness, and Precious Things (Craft/Fire, including Cookery, Investigation, and Larceny). Coyotl Inahual: God of Feathercrafts and Thaumaturgical Talismans (Occult and basic Thaumaturgy). Dangbin: God of First Age and Shogunate Lorekeepers (Lore Guest Speaker). Kordath: God of the Keepers of History (Lore). Mardistan: God of the Righteous War and the Guardian Blade (Melee). Saraswati: Goddess of the Literary Arts (Performance and Linguistics). Sindri: God of Order and Wisdom in Battle (War, Archery, and Melee/Staves). 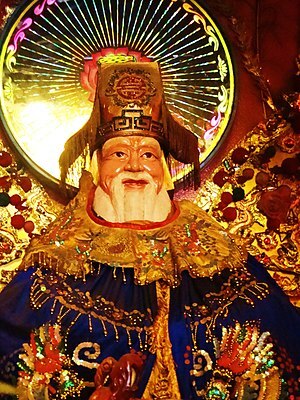 Tu Di Gong: God of Herbal Blessings (Medicine, Herbalism, Craft/Wood, and Occult Herbology). Veles: Serpent-God of Cave-Painting and Magical Caverns (Advanced Thaumaturgy and Basic Charms). There are more instructor-gods of course, but Charles is only really acquainted with the ones teaching courses that he’s taken or is currently taking. Headmaster Jun: A very senior God-Blood, Jun has the (somewhat thankless) task of keeping the school organized and meeting the demands of the staff and various divine parents. Arith: The secretive son of a god of conspiracies. Estanna: Estanna prefers messing about with boats, planes, and steeds to being in school. Ferren: The clownish son of an out-of-work deity, who is attending on a scholarship. Hiranaya: A fairly formidable fighter, with some command over his father’s flame domain. Ovashin: The son of a mountain god, Ovashin has yet to adapt to his new and over-helpful aura, which causes items around him to try to facilitate whatever he might want to do. Instruments try to jump in to help him in music class, the ground tries to slide him to better positions in combat, and so on. Eventually he may get used to it, and which point it will start to be advantageous, rather than bothersome. Siranaya: The daughter of a Goddess of Toxic Flowers, Siranya possesses a great resistance to toxins and some toxic abilities of her own. Temerith: Child of a textile god, Temerith is a bit clumsy (especially in the combat class), but excels in the performing arts. Aikiko “Kiko” Tanaka, Night Caste Solar. A student of Gri Fel and athletic adventurer. Argentia, Nebula Caste Nocturnal. Daughter of Moonsbane. Astrid, Nova Caste Nocturnal. Originally a Sidereal Half-Caste. Bright-Moon Shiarra. A Lunar who’s assisting Wide-Eyed Dreamer with his curse. Catherine Wingates, Empyrean Caste Nocturnal and currently an employee at Oudael. Charles Dexter Ward, Twilight Caste Solar Artificer and Sorcerer, currently disguised as a god-blood. Howard Cartier, Dragonblooded, the Atlanta Water Manse Hearthstone Bearer. Maella Tengu, Aurora Caste Nocturnal, currently a cook at Yesteryears. Malakai Run-and-Gun, Full Moon Lunar, has yet to appear in person. Mitchell Cartier, Water-Aspected Dragon-Blooded. Currently resident in Yu-Shan. Rachel Cartier, Dawn Caste Solar. Something of a rival of Aikiko’s. Rosa Cress, Sidereal, Chosen of Serenity. An investigator of weird occurances. (The) Morgans, one of Atlanta’s major Dragon-Blooded Clans. Vaal Resfan, Comet Caste Nocturnal, Comet Caste. An over-excitable youngster from Yu-Shan’s slums. Wide-Eyed Dreamer, a Lunar who is currently trying to break a Raksha-Lunar curse. Dr. Ceiliana Aguero: An anthropologist (and probable thaumaturgist) associated with the Atlanta Museum of Natural History. Dr. Valenti: A paleontologist) associated with the Atlanta Museum of Natural History. Dr. Winston: An Atlanta veterinarian, currently caring for the hipparions. Jacob Anderson: A thaumaturgist who apparently lives near Atlanta. (The) Mercenary Surveyors. A trio who were apparently hired to explore manses. Daniel Clane: A higher-up in the State Department, and a specialist in dealing with magical problems. Korbase the Incomparable: A naga-style mystical being. Possibly a god, demon, or raksha. Richof “Gramps” Haldane: Charles’s grandfather, guardian, and mentor.